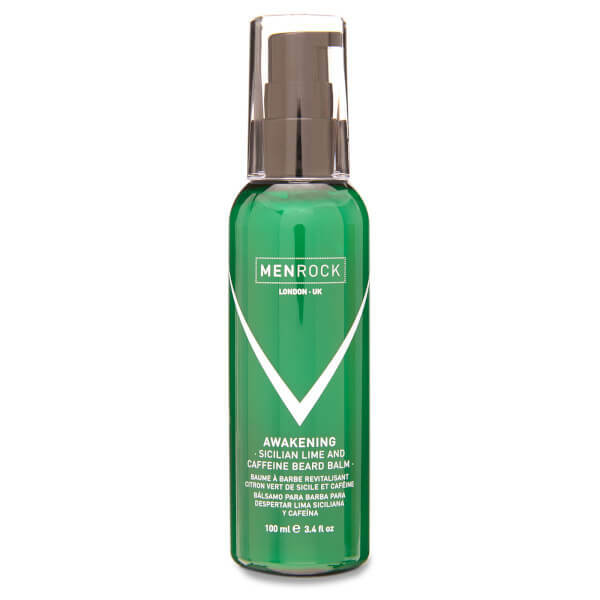 The Awakening Beard Balm from Men Rock is a leave-in conditioning balm subtly scented with the brand's refreshing Sicilian lime fragrance. Designed to soften and moisturise your beard to leave you feeling like a new man. Specially formulated for facial hair and skin, this creamy balm contains caffeine to delightfully awaken your beard and reduce irritation and itching. E.N. Men Rock are a UK based brand that deliver a high quality range of grooming products to give you a perfectly styled and healthy beard. Directions for use: Massage a small amount into a cleansed, towel-dried beard.